Give techs the tools and information they need to stay productive. Cut out distractions so they can do more work. 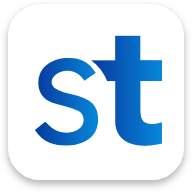 Go paperless with the ServiceTrade mobile app. We have created an all new version of the ServiceTrade mobile app for Apple and Android devices. If you’ve been a ServiceTrade user, this video will show you how to do everything you did in the old app in the new app. Where things are located and how you interact with the app has changed, so watch this 5-minute run through to learn the basics. 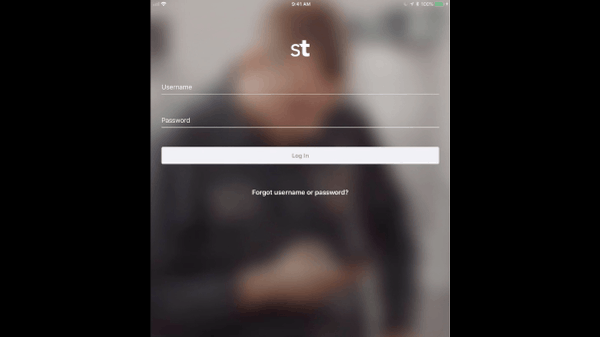 New users will want to take the Technician ServiceTrade Certification Course to learn how to use the mobile app during service calls. Mobile applications for Android and Apple smartphones and tablets give technicians all the job and customer info they need. Techs shouldn’t go in blind. All the customer information they need is in the palm of their hand. Time talking to the office is time not spent working. 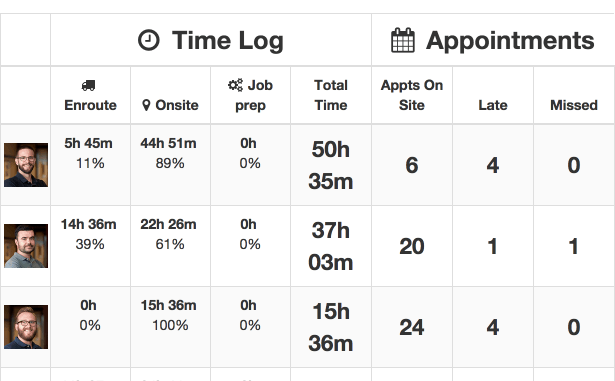 GPS time tracking updates the office, holds techs accountable, and logs time spent on every job. Paperwork and scribbled notes are unprofessional and waste time. Take pictures, record audio notes, digitize paperwork, and capture the customer signature for the office to share online with the customer later. 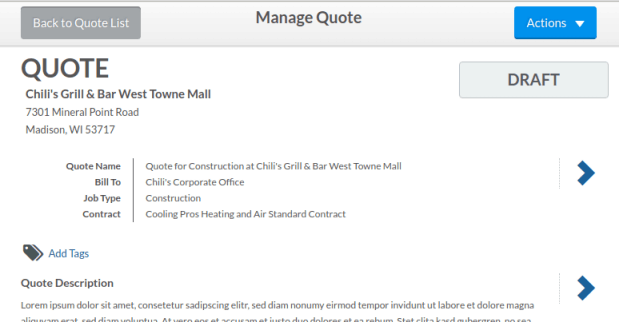 Field technicians and sales staff that need to quickly create a quote and receive approval can create quotes in the field using our tablet web application. This permission-based feature can easily be turned on or off for any user. Accurately invoicing customers is challenging. 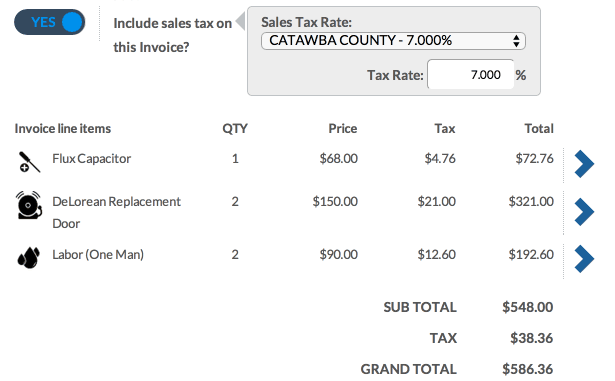 Create price lists so techs can build precise invoices and capture electronic customer signature. There will be no question about what work was delivered. 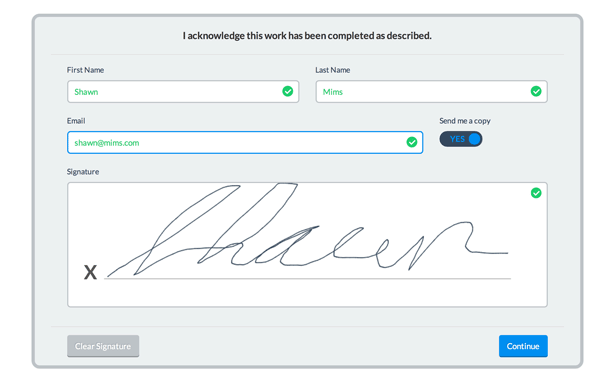 Your customers will sign off on work electronically. Downtime kills profitability. Summarize clock time and activity to better understand tech productivity.